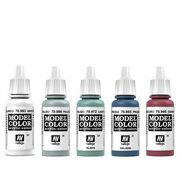 Complete line of acrylics for decoration and hobby painting: a full range of metallic, pearlescent and fluorescent colors. 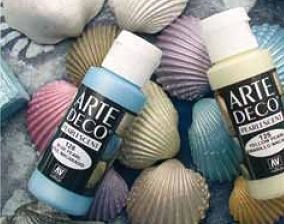 All ArteDeco colours can all be mixed with one another, with water and the various mediums. 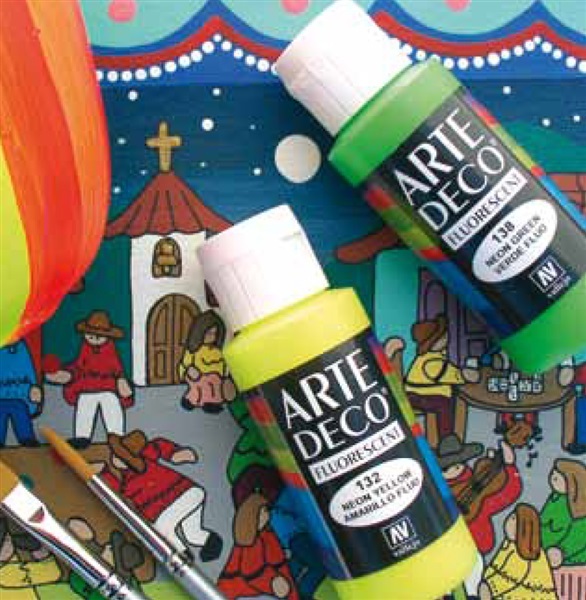 ArteDeco range includes classic fine arts cadmiums, as well as contemporary azos and naphtols. Synthetic iron oxides have been employed for their stability, but earth and iron oxide colours are also present in the range. The sheen of the metallic colours can be heightened with acrylic gloss varnish, and the drying time of the glazes can be increased with the addition of the various glaze mediums. ArteDeco is completely permanent and lightfast, and adheres very well on all surfaces, (paper, canvas, wood and plaster, etc.) including plastics and metal.